*There is only one guarantee in life: At some point, you will be humbled. Take platinum award-winning singer Karyn White, who was on top of the world before making her last record and leaving the music industry in 1999; following a divorce from producer, Terry Lewis, one-half of the hitmaking duo, Jimmy Jam and Terry Lewis. White and Lewis had lived a life of pure opulence; built and shared a 30,000 square-foot mansion on Lake Minnetonka in Minnesota; and was, by anyone’s standards, the picture of the ultimate happy, power couple. But as we know, everything that sparkles isn’t gold. And in this story, based on a candid interview with EURweb publisher, Lee Bailey, the still gorgeous singer delivers a painful reminded that a life of grandeur is not a shoo-in for happiness. The woman who had once talked about a “Secret Rendezvous;” showed us what a “Superwoman” looked like; and shared her moments of ecstasy with us in “The Way You Love Me,” made a wrong turn somewhere and then disappeared from the public eye altogether. White says she stayed on the entrepreneurial path, in the suburbs of Sacramento, for 12 years; but left the industry following what she calls a “dark time” for her. White’s retreat to the Bay Area was intentional. No longer wanting to live in Los Angeles, she returned to familiar territory. In 2008 Karyn says she met Jeremy Sylvers, son of Edmund Sylvers, a member of the popular 70s group, The Sylvers; and this meeting changed her direction. Karyn laughingly admits to Lee Bailey that she did not think she would get back into the industry as a vocalist “period” because she was content telling everybody else what to do; especially the aspect of providing guidance and artist development. So, when the real estate industry crashed (she was able to make a lucrative sale on a property just prior to the crash) White heard a radio program, “The Way I See It,” by music veteran Jay King (Club Nouveau), who hosted the show, and with his encouragement and support, began her musical reincarnation; gaining interest in the business again, on an executive level; utilizing the skills she had developed in business finance to nurture other artists. But she soon found that, trying to push her cadre of artists only had industry execs asking why she was not pushing herself. “Jay showed me who I was. My worth, and that there was a whole new world out there,” the singer says about King, who is now her manager. Admitting that she could no longer hide behind her college-aged daughter Ashley; she was a bit fearful of returning to the business at first because she realized the level of commitment it demands. But once she got over that, it was on! In case you were wondering, White is now 47. Because things happened pretty fast for her, in retrospect, Karyn says that she wishes it had happened slower. It was important for this mother to show her daughter that with her re-entering the business, things would not necessarily be easy just because mom is “Karyn White,” and dad is “Terry Lewis.” So it was great to have Ashley see the hard, step-by-step process that goes into being a working professional. Things like promoting yourself online, and witnessing the sale of 40 tickets at a venue one day, change to sold-out performances on another; all as a result of your hard won efforts. Karyn says that in many ways, she feels like a new student. “So I’m like, you know, ‘mommy’s starting over. You’re going to school and mommy’s going back to school, too.’ … like I’m a new artist,” she admits. 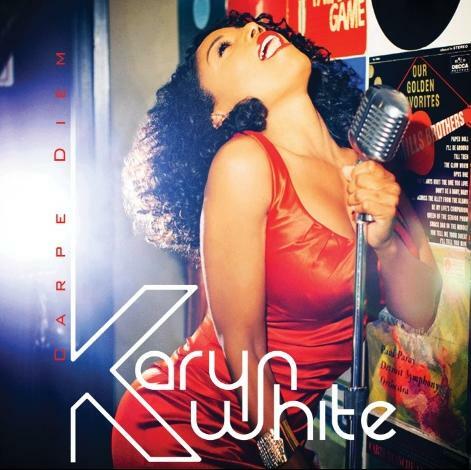 With regard to her new single “Seize the Day” – from her CD, Carpe Diem (available now) – this is not just a song for Karyn White, she refers to it as a movement. “The world that we live in, we have to take our careers in our own hands; we have to have multiple streams of income,” says White, who adds how grateful she is to have stepped away from the industry when she did, because she can now come back without a sense of bitterness – unlike other artists who may have stayed at the party too long, so to speak. When Lee Bailey asks if she feels she learned a lot in the business the first time around, White is quick to confirm that she definitely did. “You can’t be around an LA [Reid] and Babyface, Jimmy Carey, Ron Swing and Clarence Avant and not learn, but it’s a different industry [now]. Now, because she has grown as a person, “a total person,” as said by her, and not just an artist, Karyn is able to appreciate the business more and go after exactly what she wants, in the most effective ways. Some of us say, “If I only knew before what I know now,” or “If I had a chance to ‘go back’ I would only want to do so if I could keep the wisdom I have now.” Well, that’s the beautiful thing about coming into your own; as Karyn explains to Lee Bailey here. Karyn explains to Lee how, even ‘back in the day’ when she was married to Terry Lewis, how her mindset in the business was starting to shift, but her youth did not allow her to appreciate or even enjoy where she was. Bailey asks Karyn to elaborate on her “dark place” and what had brought her to that point. 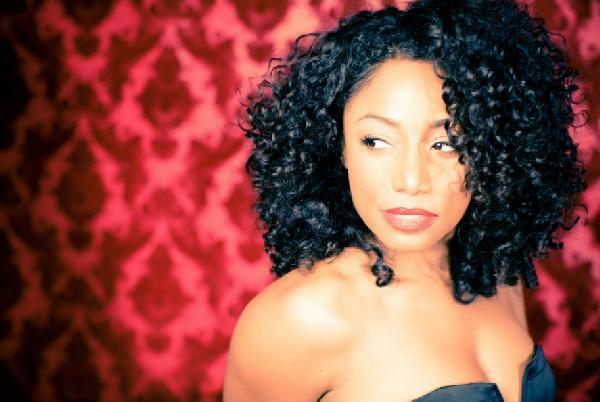 Wow, what an interesting story Karyn White has to tell. It’s going to get even more interesting in part two later this week when she details that “dark place’ she was in; how she got there and how she was able to break free and find happiness again. DeBorah B. Pryor is an established journalist and entrepreneur. She is an independent associate with LegalShield, where you can contact an attorney ‘about anything you want, anytime you want,’ for a small monthly fee. Go to deborahbpryor.legalshield.com to learn more. Lenny Kravitz and Karyn White. Black don’t crack. I loved her back in the day. Glad to see her back. She still looks the same. Karyn White looks good. I am glad to see her new release. I agree with her. Everyone should “Carpe Diem” sieze the day.